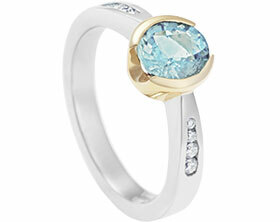 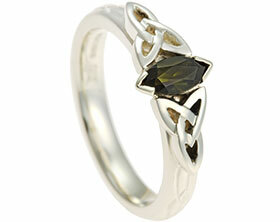 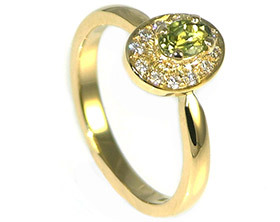 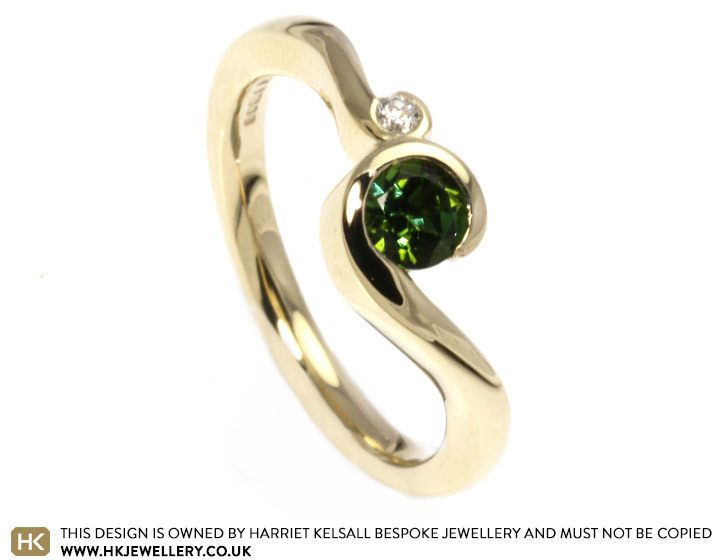 Ian and Margarita came into the Cambridge studio to design this stunning engagement ring. 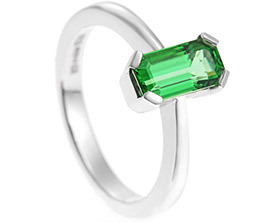 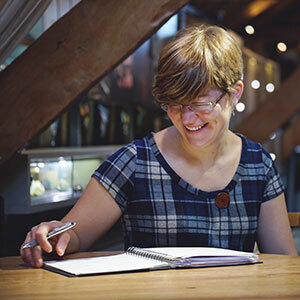 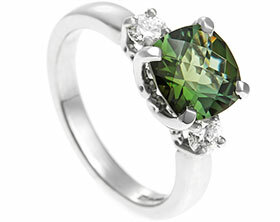 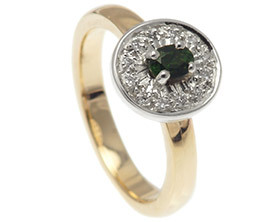 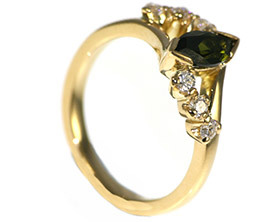 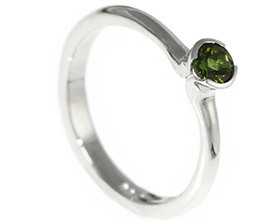 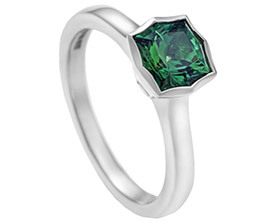 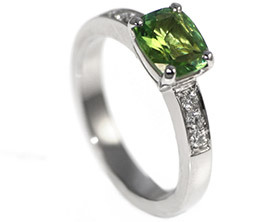 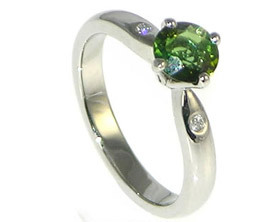 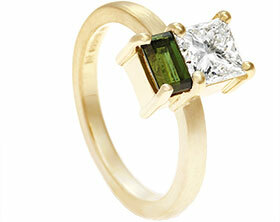 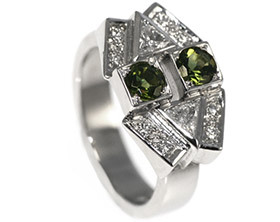 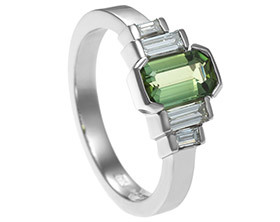 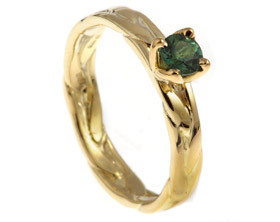 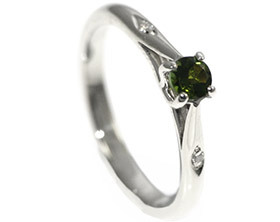 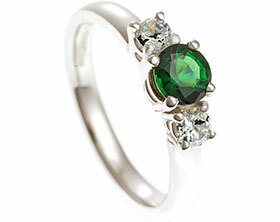 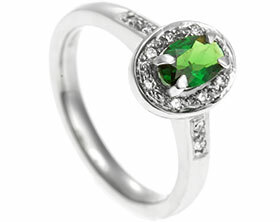 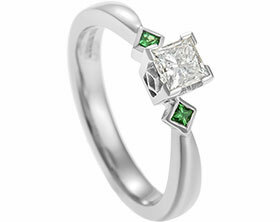 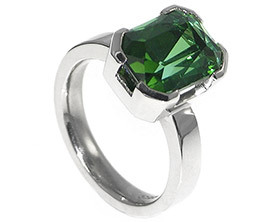 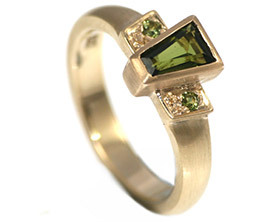 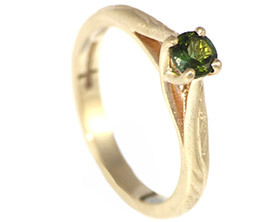 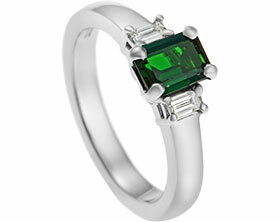 Margarita knew she wanted a vibrant green stone as the focal point of her engagement ring. 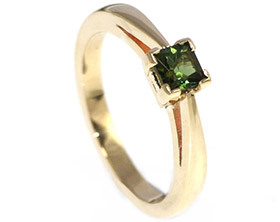 Together they chose this beautiful 4.5mm brilliant cut green tourmaline which has been set in a delicate curl in 9ct yellow gold. 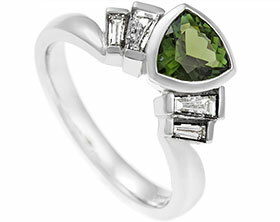 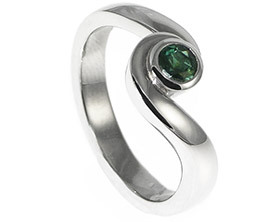 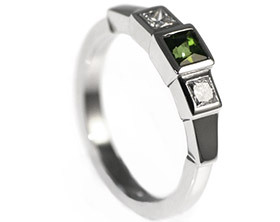 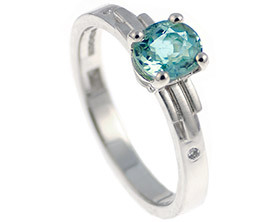 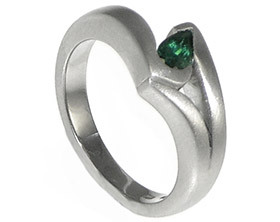 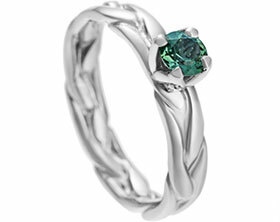 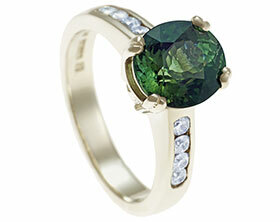 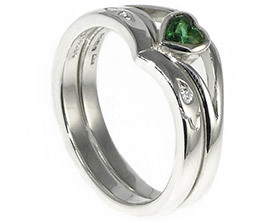 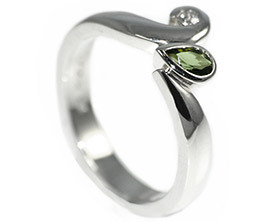 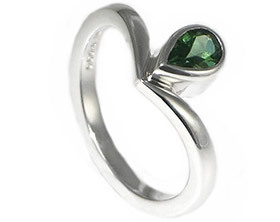 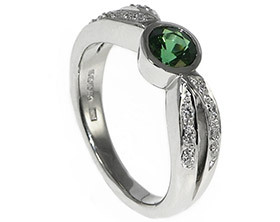 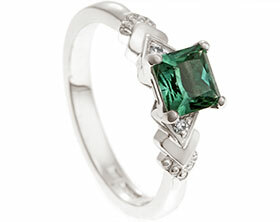 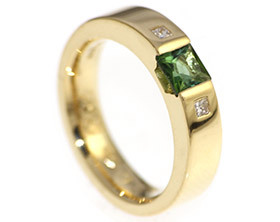 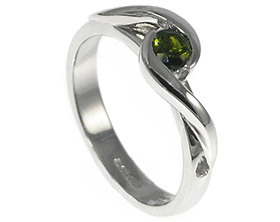 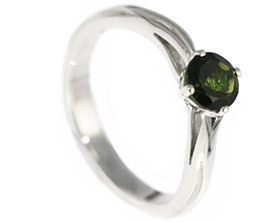 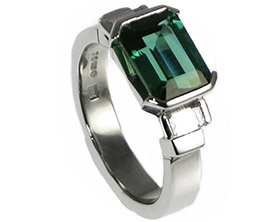 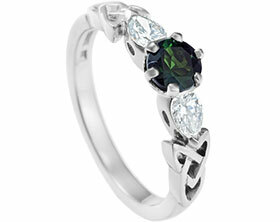 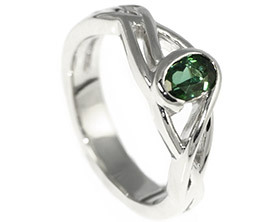 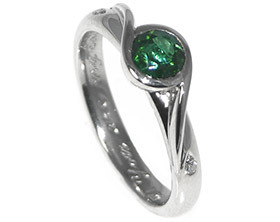 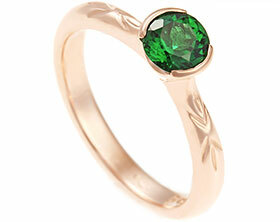 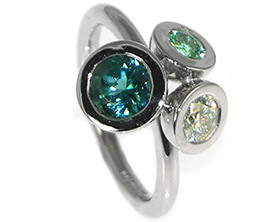 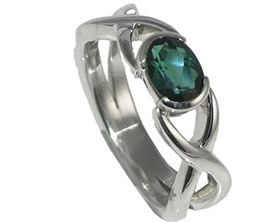 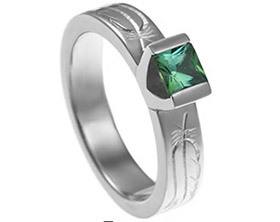 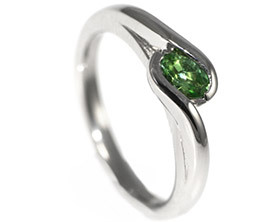 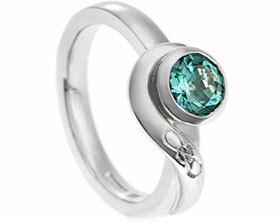 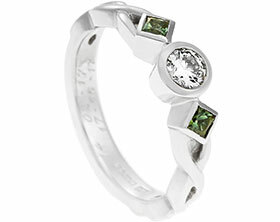 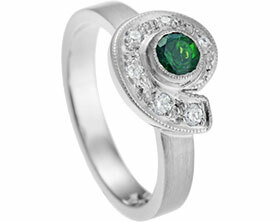 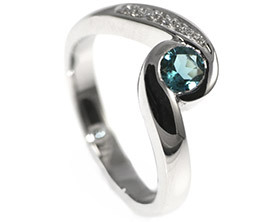 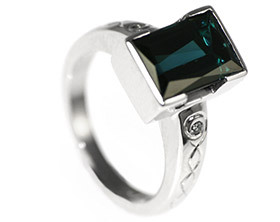 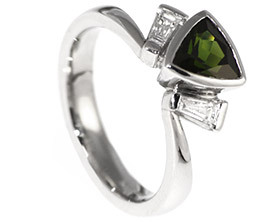 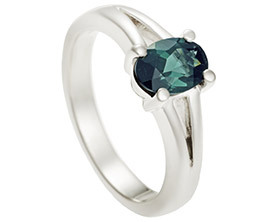 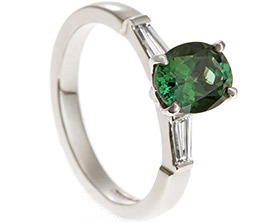 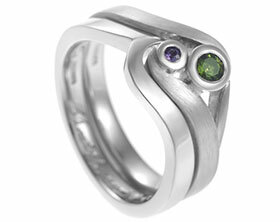 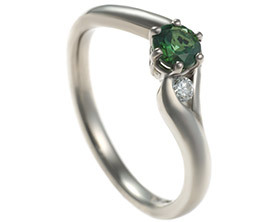 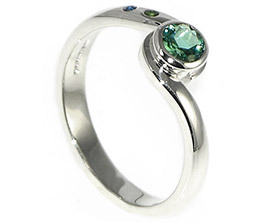 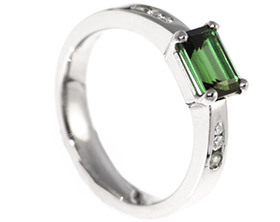 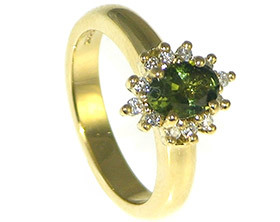 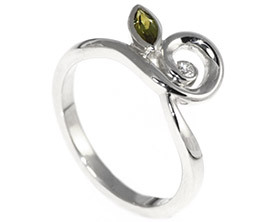 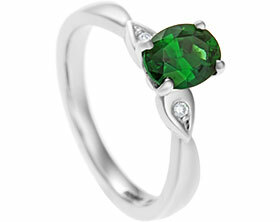 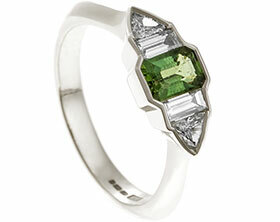 The 2mm Hsi diamond compliments the green tourmaline and is held in a delicate curl.